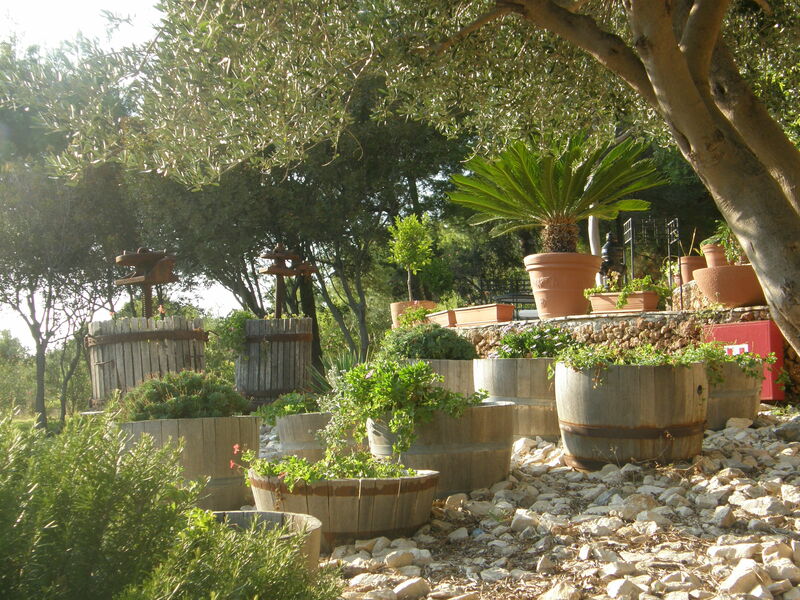 Mid September is a beautiful time of year in Istria, the northern peninsula of Croatia, close to the Italian border. 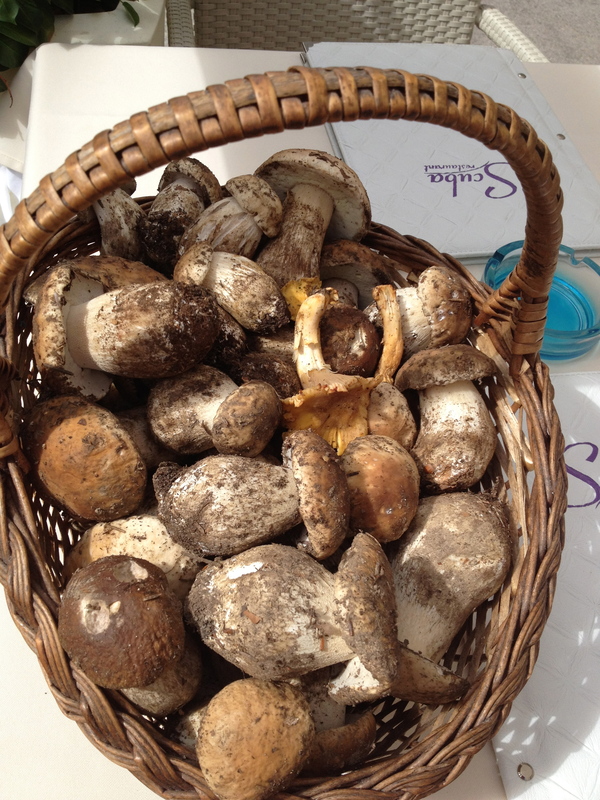 It’s a time of year when the grapes are harvested, the season of porcini mushrooms and best time for truffle hunting, and eating! 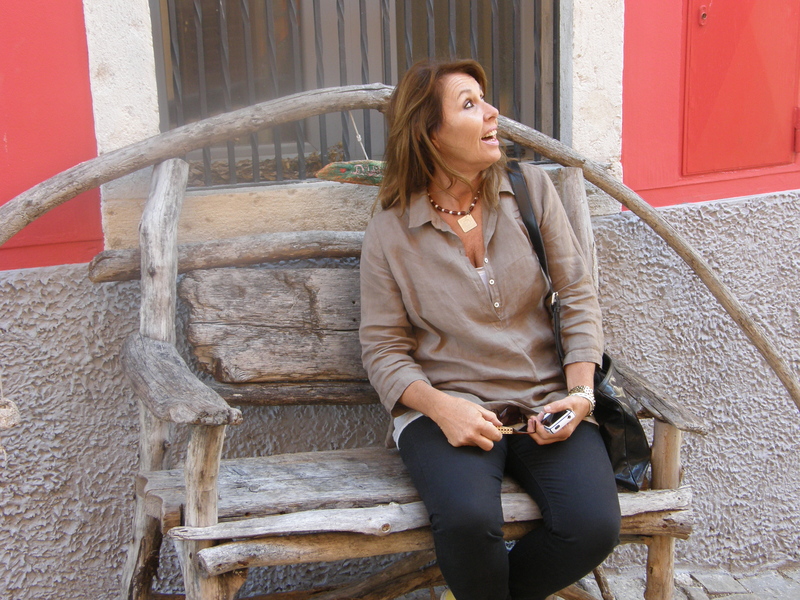 Arriving into Rovinj is always a delight…an artist’s dream! It was to be the start of our Istrian adventure! 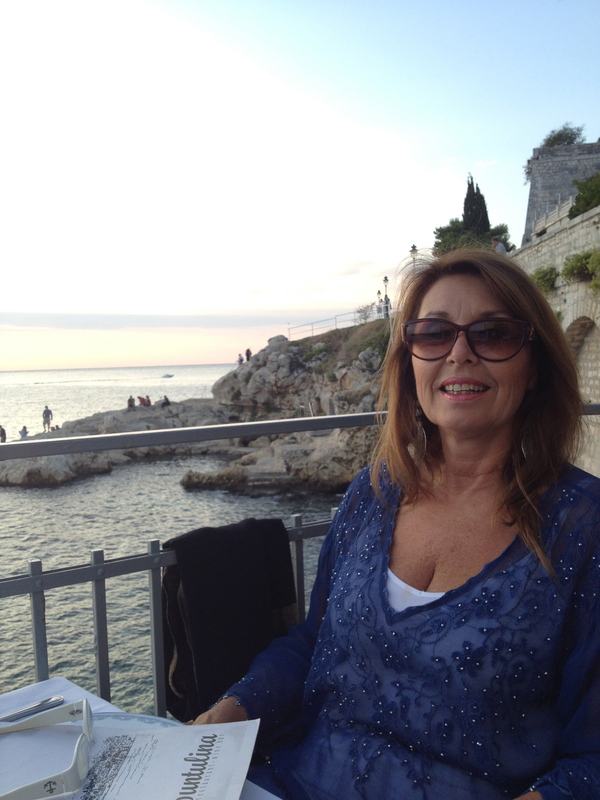 My friend Jane from Australia was arriving on the fast catamaran ferry from Venice to the romantic old Venetian city of Rovinj on the Istrian Coast and I had driven 6 hours up the A1 super highway from Split in Central Dalmatia to meet her. The ferry from Venice is a 3.5 hour trip across the Adriatic Sea, costing 78 Euros. 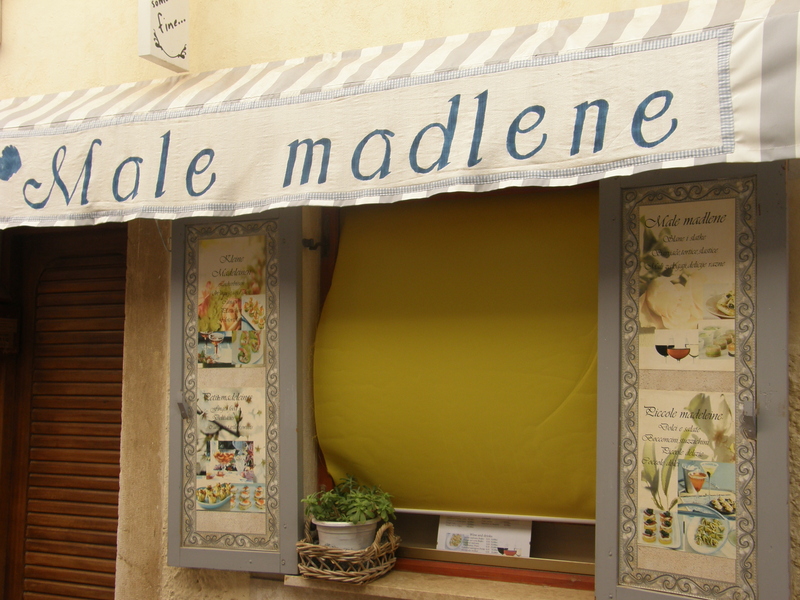 Before Jane’s arrival I found a studio apartment in the heart of this most atmospheric old town, an apartment where we could soak up the ambiance, and enjoy 3 days exploring, savouring gourmet food paired with spectacular wines, and naturally, sightseeing in this magical land. 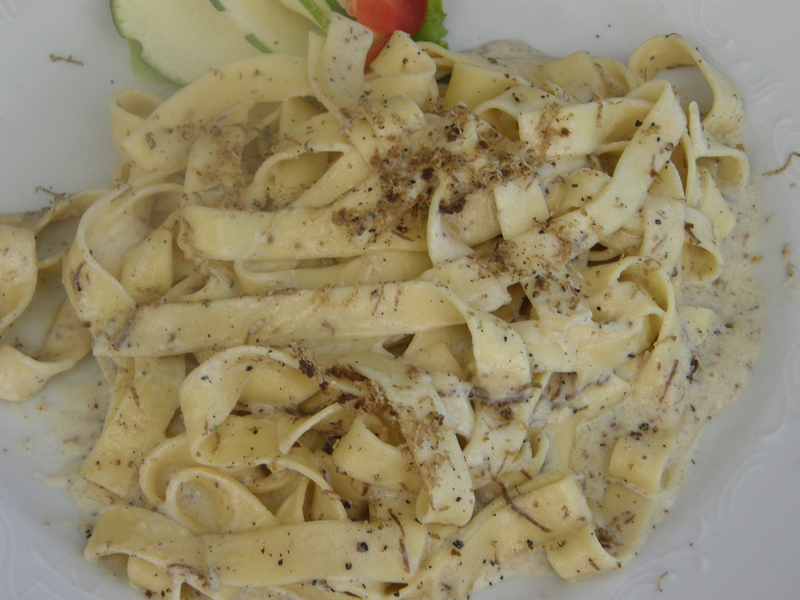 Couldn’t help taking a shot of this scrumptios pasta…..
Deliciously and SERIOUSLY scrumptious handmade pasta with Gorgonzola and shaved truffle….to die for! 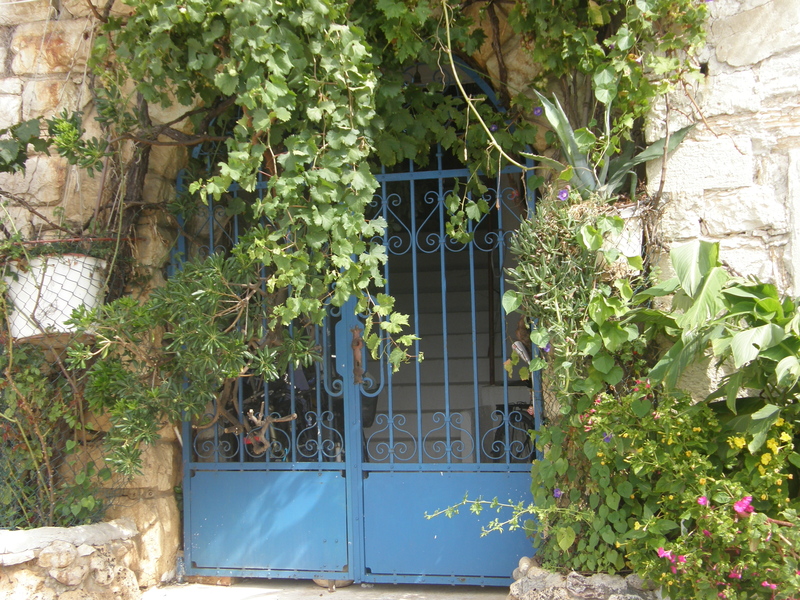 Every step of the way through the old town was a photographer’s delight! 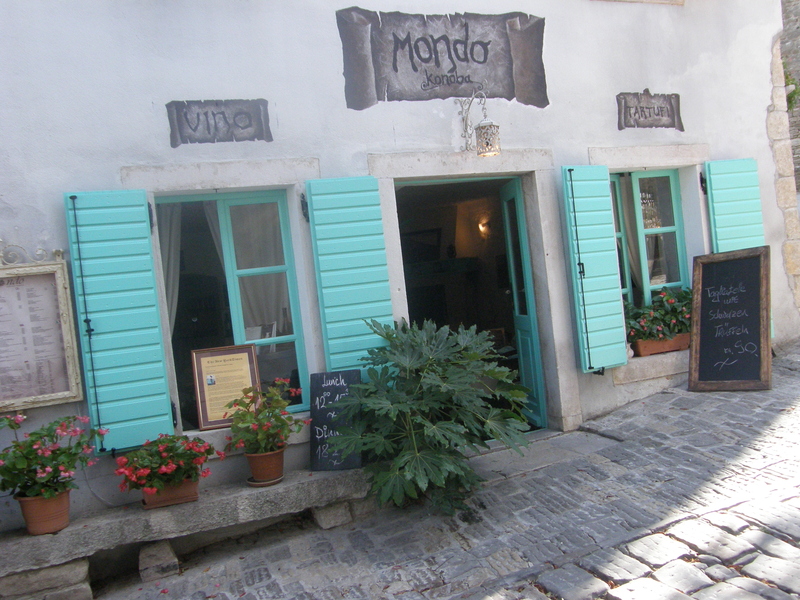 So many quaint boutiques, craft and jewellery shops, cafes and restaurants…perfect coffee and beautiful service with a smile everywhere we went….We LOVE Rovinj! Jane was having a BIG birthday on the 15th September, and so I decided upon the much-loved restaurant Puntalino’s. We reserved a table over-looking the sea and made a booking for 7.00pm so that we could have some pre-dinner drinks of prosecco and watch the setting sun while catching up on all the goss…. We shared a seafood meal, a plate of whole fish prepared Istrian style, a platter for two, together with potatoes and pan juices. 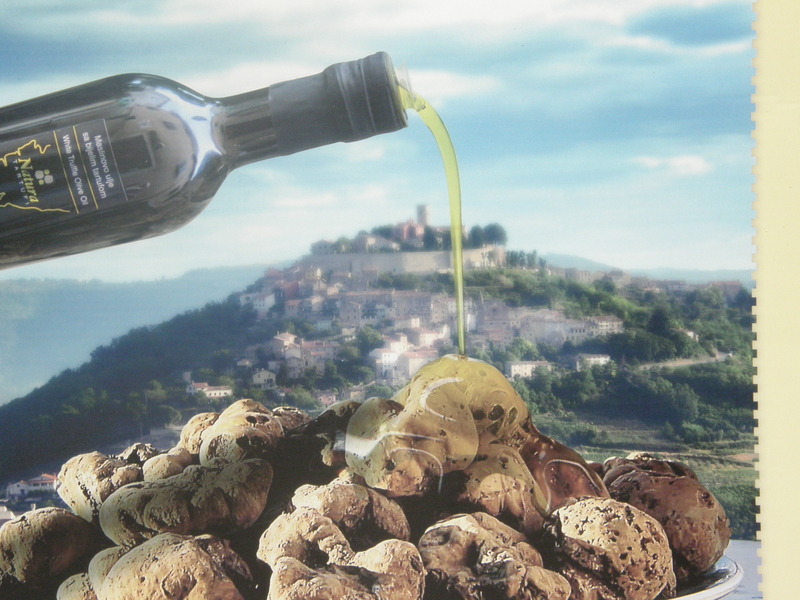 Istrian Olive Oil is considerd to be the Rolls Royce of all Olive Oils and it is used liberally in most of the dishes…needless to say we couldn’t resist dipping our crusty bread into the delicious drizzlings of juices and oil. Jane remarked, it was the BEST fish she had EVER eaten! From Rovinj we drove north to Motovun,Groznjan, Brtognigla, and Draguc….all are beautiful hilltowns in the northern part of Istria. We had such a great time exploring these hilltowns and it was such a pleasure showing Jane some of my favourite nooks and crannies. It was a must to visit the village of Draguc, situated in the middle of nowhere , squeezed on the ridge of a hill, alluring and romantic. No wonder many major films have been filmed here…dating back to the 1st century it has seen many battles and there is much to explore and discover in this beautifully maintained little village of stone. 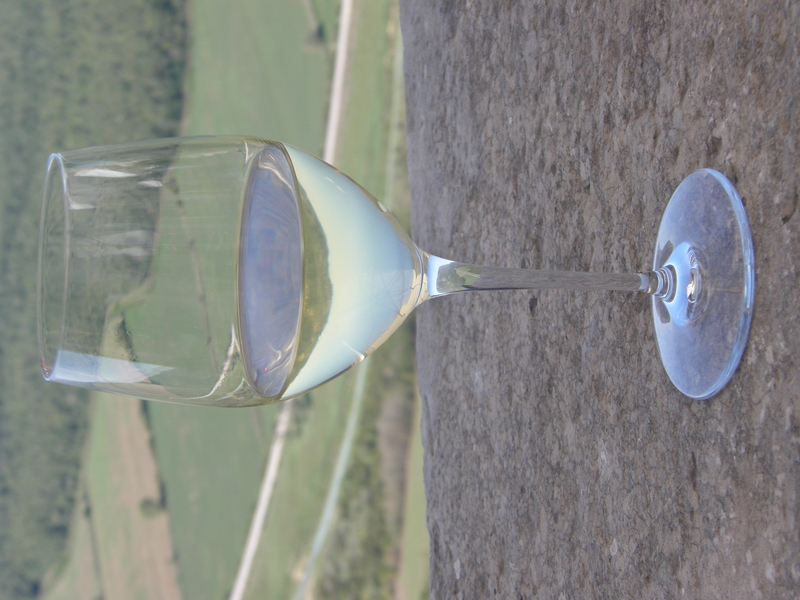 Specialities of Istria…. 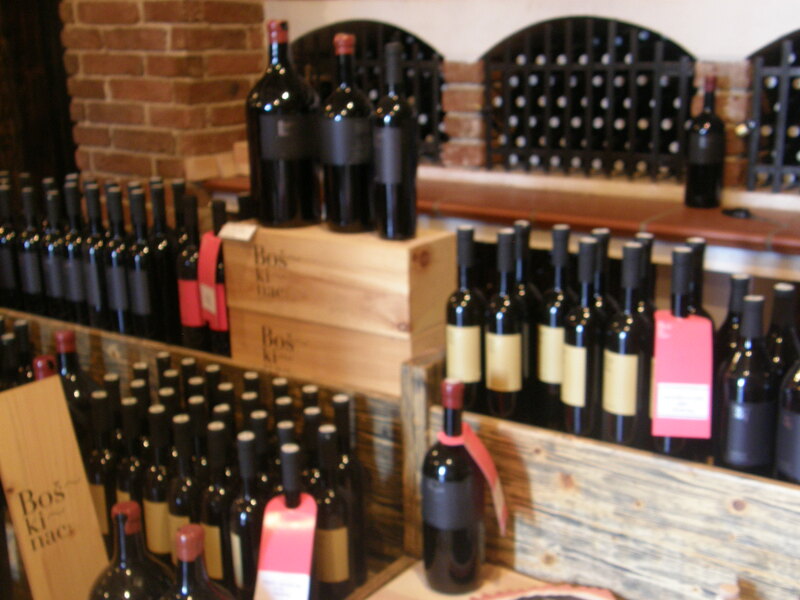 Truffles, Extra virgin olive oil, fine wines, porcini mushrooms, wild asparagus, and quaintest hilltowns! 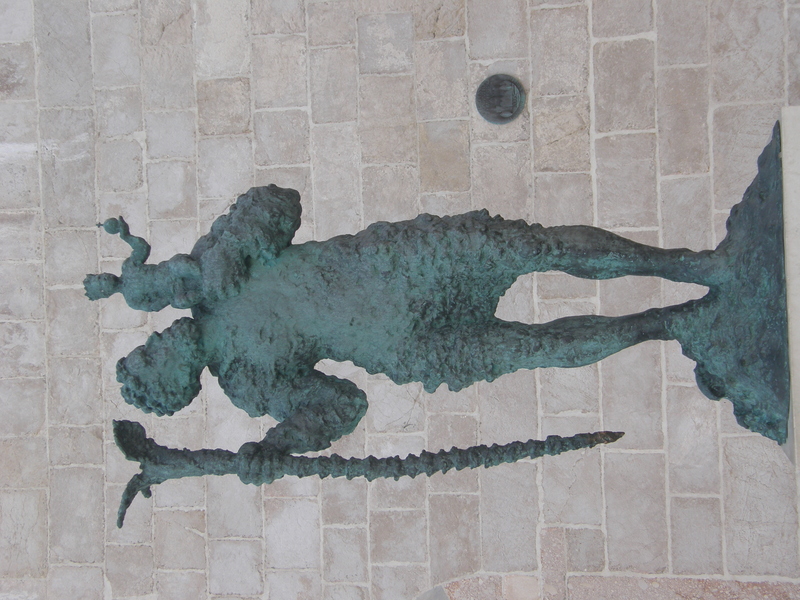 We decided to visit a few of the northern Croatian Islands on our way back to Split. Driving from Istria we entered the UCKA Tunnel, bringing us the the Kvarner Region of Croatia, and it was a MUST DO, to show my friend the exquisite seaside resortof Opatija. 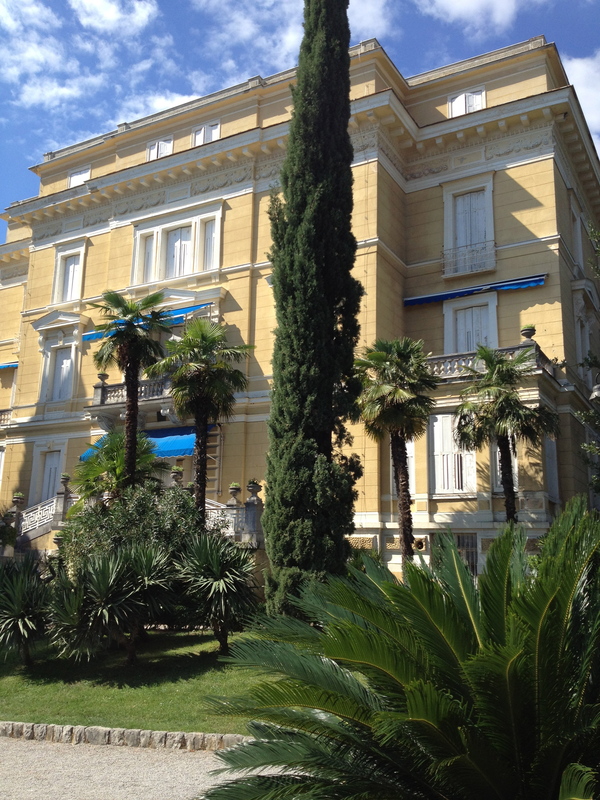 Elegant Villas in Opatija from the time of the Austro-Hungarian Empire. There are many elegant villas in Opatija, the resort of royals and noblemen and women of the long ago Austro-Hungarian Empire that ruled most of Croatia in days gone by. 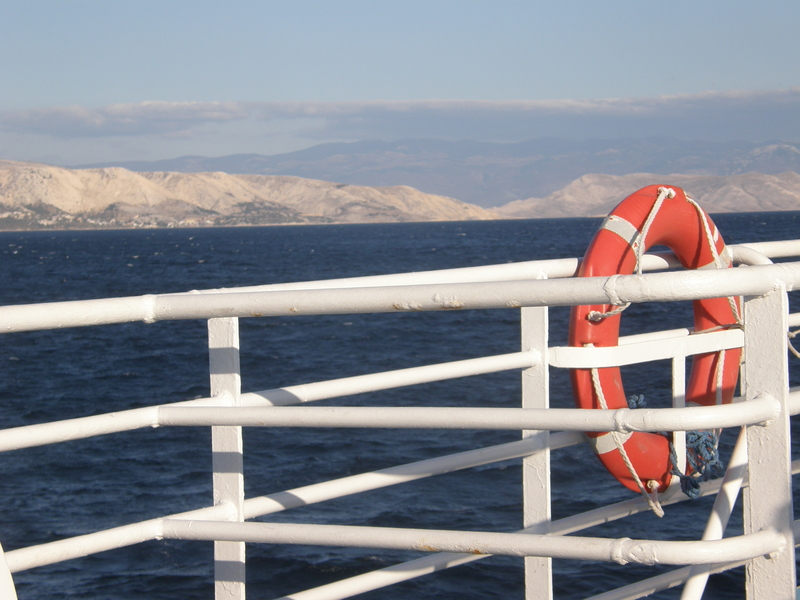 Continuing south down the coast, we crossed the bridge from the mainland on to the Island of KRK. By this time it was getting late, and we wanted to catch the car ferry to the Island of Rab before nightfall. We made it, and as we sailed we marvelled at the stunning scenery of the majestic mountains in the distance. Sailing to Island of Rab. 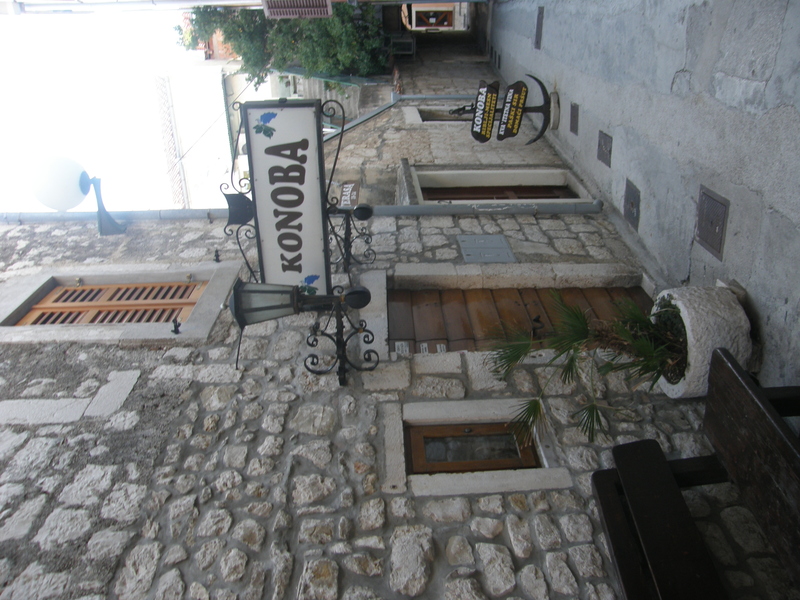 Rab was waiting with open arms…we arrived, checked in to our hotel in the heart of town and headed for Konoba Rab. ‘Konoba Rab’ has a great rooftop dining spot, on this occasion we chose to sit indoors amid tons of ambiance, cosy and with a great menu of local dishes..
Rab is so picturesque, it took our breath away! I can understand why King Edward and Mrs Simpson loved this place! 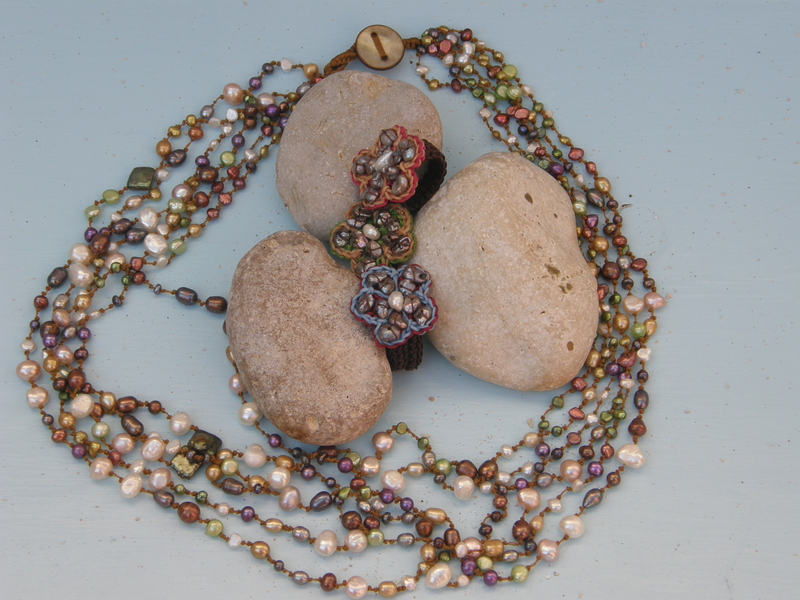 It was a special hideaway where they sought solitude in a romantic and tranquil setting. Rab is a place I have been wanting to visit for such a long time. 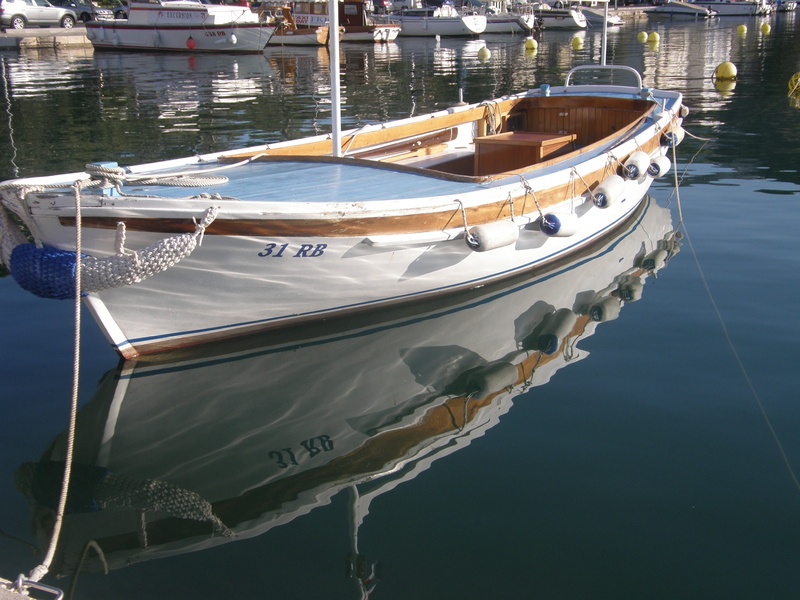 We were in awe of the pristine cleanliness of the old town, the old stone walkways, churches, houses, terraces, all so beautiful in a natural setting, and the harbour with it’s little boats moored all along the walkway. 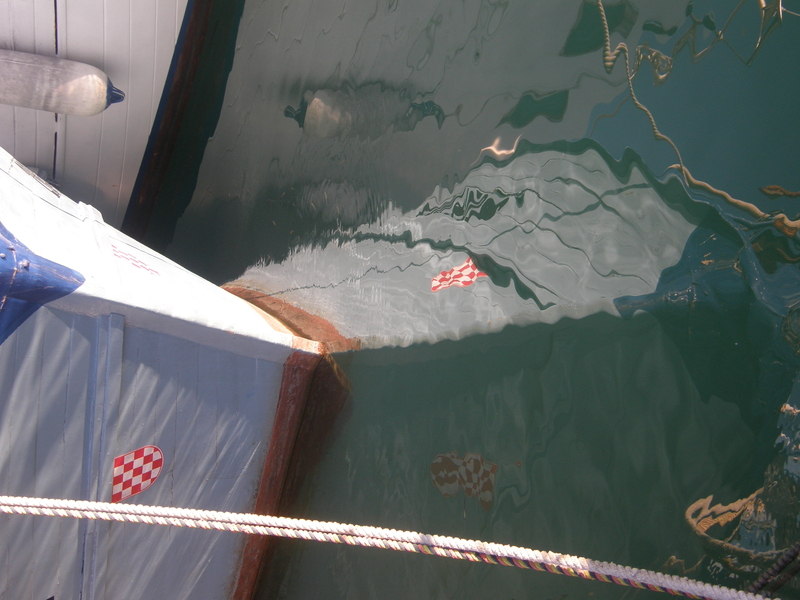 An old timber boat moored in the harbour with stunning reflections of the red and white chequered flag of my Croatia.. The EXOTIC Island of Pag! I visited here last year,and I was certainly looking forward to returning once again. It is the island of a desolate windswept landscape, white stone, salt pans, 1000 year old olive trees, with the finest of laces, the tastiest of cheeses, The sheep’s cheese of Pag is a speciality, and lamb dishes slowly baked under the bell, covered with hot coals, roasting slowly, is a dish that many talk about long after their departure. The Island of PAG and BOSKINAC VINEYARDS, CELLAR AND RESTAURANT (Otok Pag) I had dreamt of visiting Pag for a long time and finally the day had arrived! 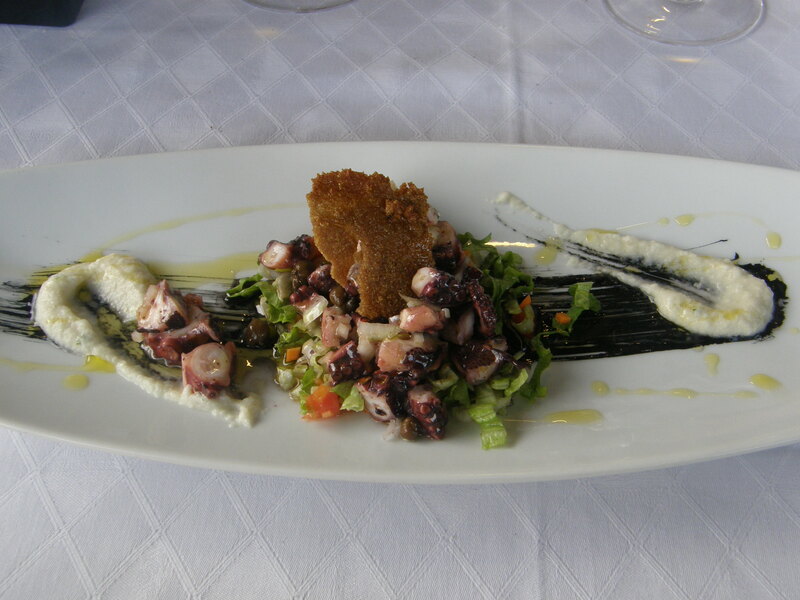 I had heard about the famous cheese of Pag (Paski Sir); the fine lacemaking tradition; the ancient salt pans, and the traditional folklore, food and wines of this exotic island, but no-one had prepared me for what I was about to experience! 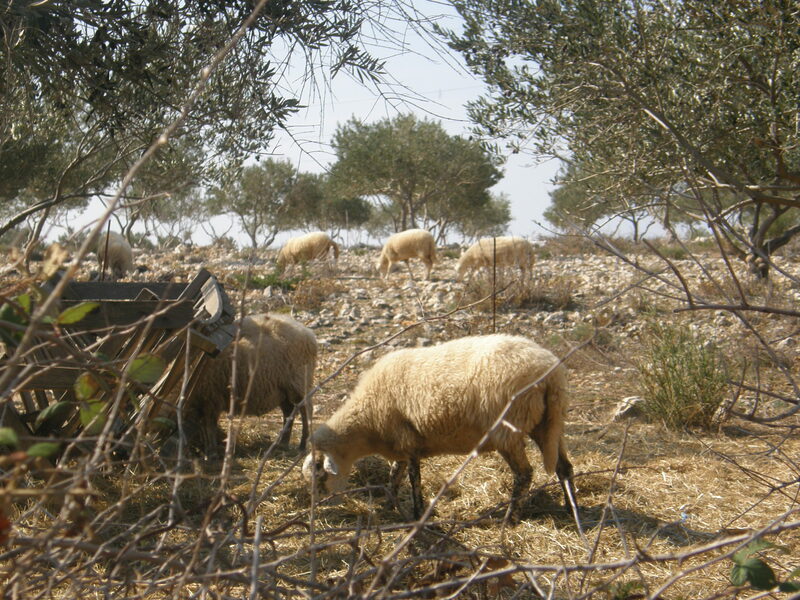 The island is very famous for the particular type of cheese produced here, Paski Sir (Pag Cheese) Here live the toughest of sheep grazing freely among the rocks, on the salty herbs and plants. The cheese can be likened to an Italian parmigiano, but is distinctly salty and sharp. May is the month when the milk is at it’s best for cheese-making, and is left un-pasteurised, fermented and then rubbed with olive oil, and aged for 6-12 months. 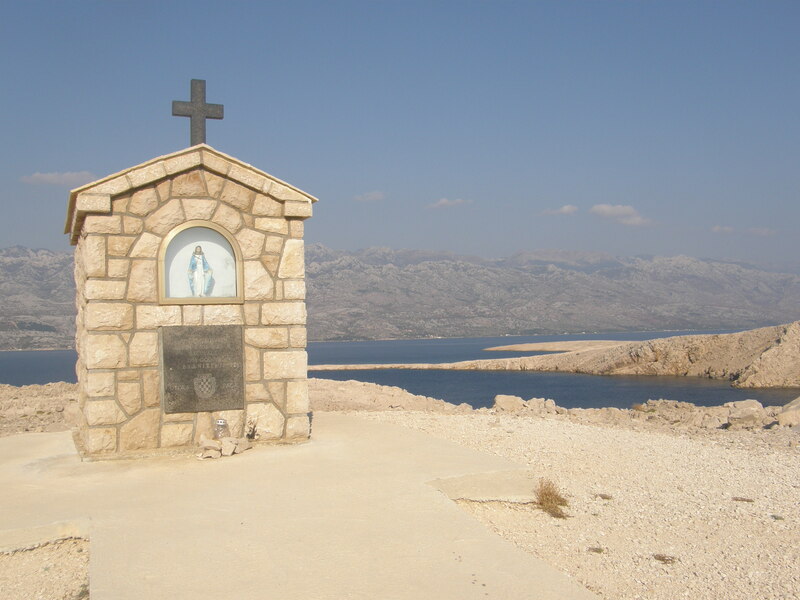 As I drove across the Paski Most (Pag Bridge) I had to stop and take in what was now before my eyes! 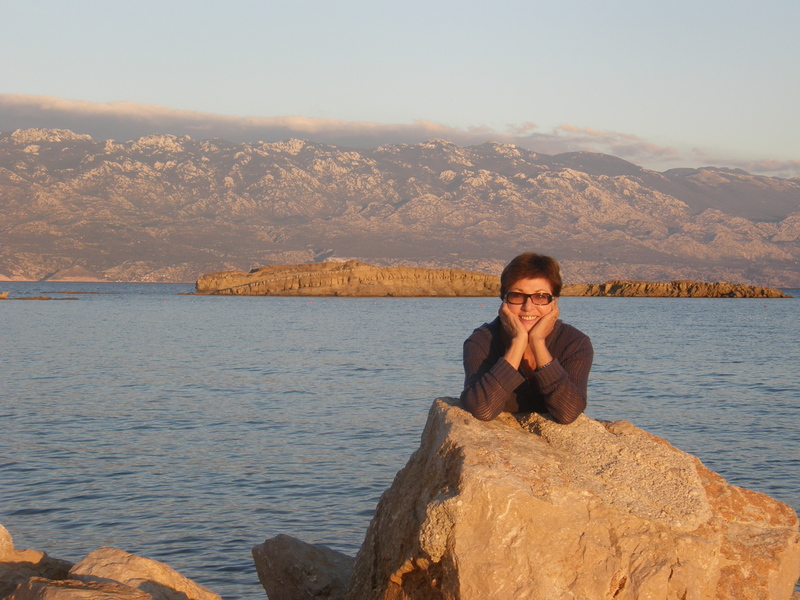 A scene of sheer barren rocky sepia coloured stone for as far as the eye could see, and looking back across to the mainland the majestic Velebit Mountain Range in the distance is an amazing backdrop for one of nature’s most dramatic seascapes. The lack of vegetation has been caused by the howling of the Bora winds, sweeping down from the mountains and out to sea across the eastern side of the island. The strongest wind recorded reached a speed od 248 kmh only a few years ago. 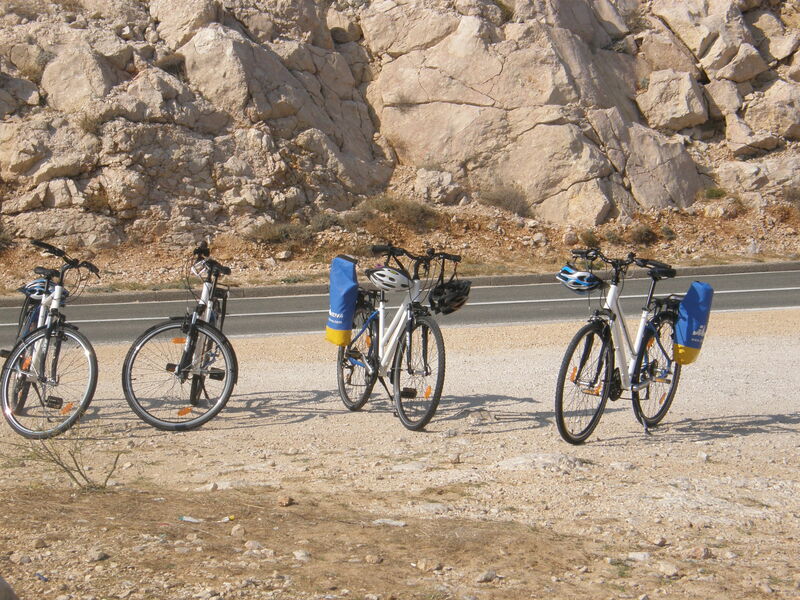 Driving along I noticed many German cyclists and stopped to join a group at one of the many scenic spots where a young Croatian bride and groom happened to be posing against the dazzling white stone, and the blue sea, on a day of clear blue skies and brilliant sunshine. The Ancient Salt Pans of Pag. 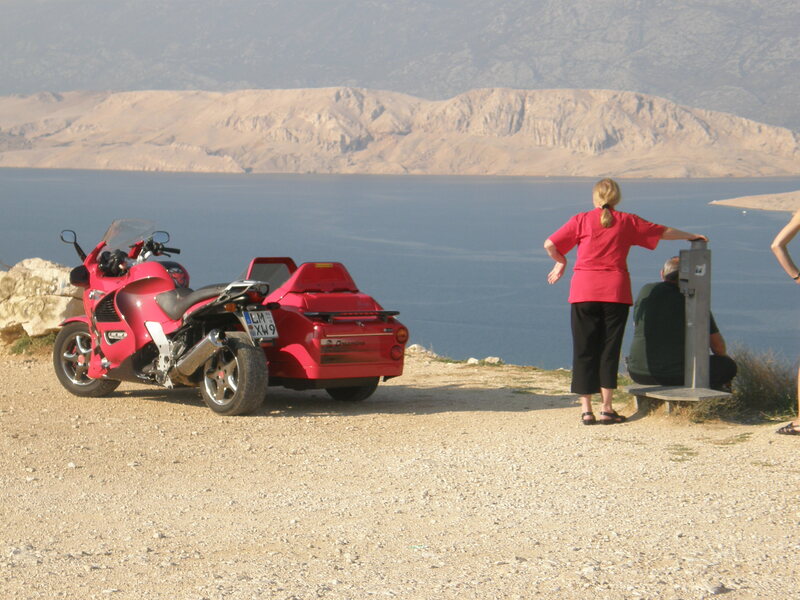 I felt absolute exhilaration, continuing on towards the town of Pag, and enjoying every new scene unfolding before me. Suddenly there they were, the salt pans of Pag. Kilometres and kilometres of them, stretching to the horizen. 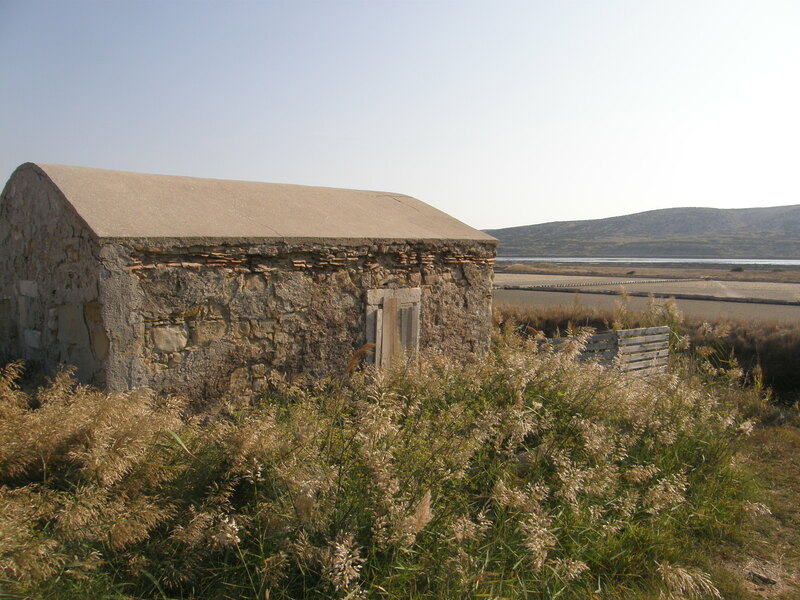 In years gone by, most of the population of Pag Town were involved in some way or other in the salt industry. Today the salt museum tells the story vividly of the hardships of a hardy and hardworking people. 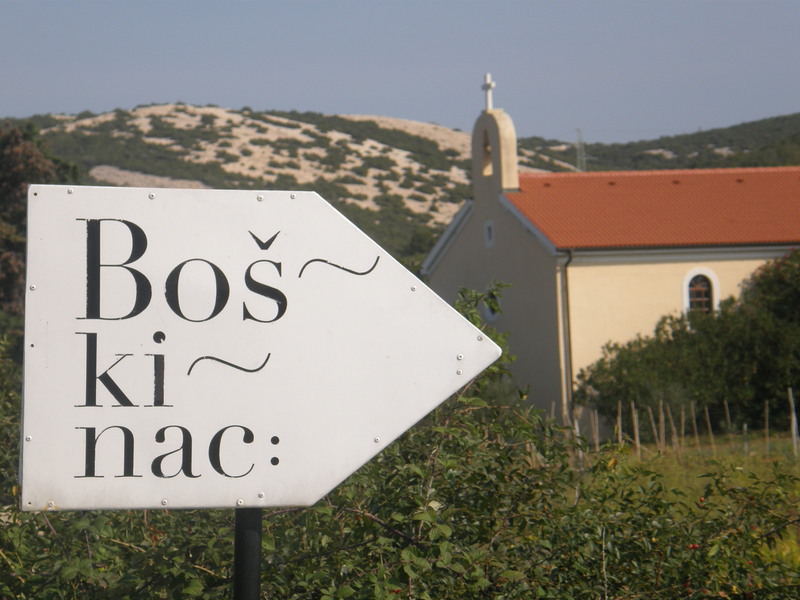 As I approached Stara Novalja on the northern end of the island, I saw the signpost to the Boskivac Vineyards. My friends and business associate were waiting for me here. 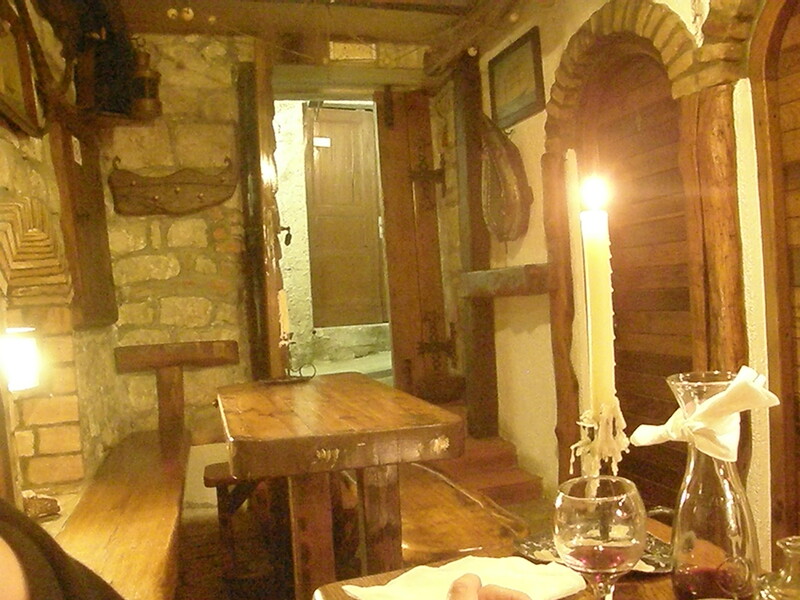 A short drive past stone walls and grapevines, and there was Hotel Boskivac in full view. What a glorious sight! 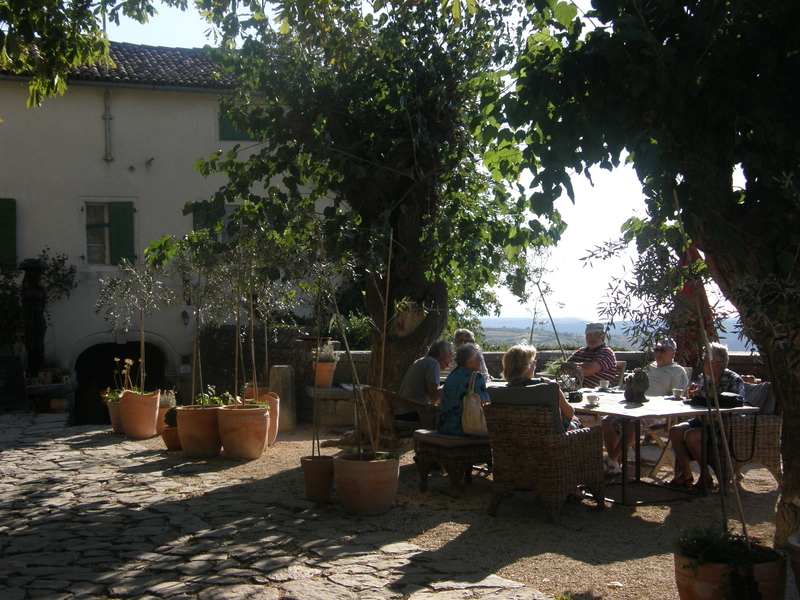 It reminded me of a beautiful Tuscan Villa, and there to greet me was Boris Suljic of Boskinac himself! . Tonight we were to be treated to a fine dining degustation dinner on the terrace at Restaurant Boskinac, accompanied by their excellent wines. What an experience! As for the hotel itself, the rooms are exquisitly furnished, and it was a joy to walk around discovering many ethnic yet very innovative decorating ideas. I just felt right at home, comfortable, in great company, and so at peace with the world. That’s the effect this place and this island and it’s people had upon me. 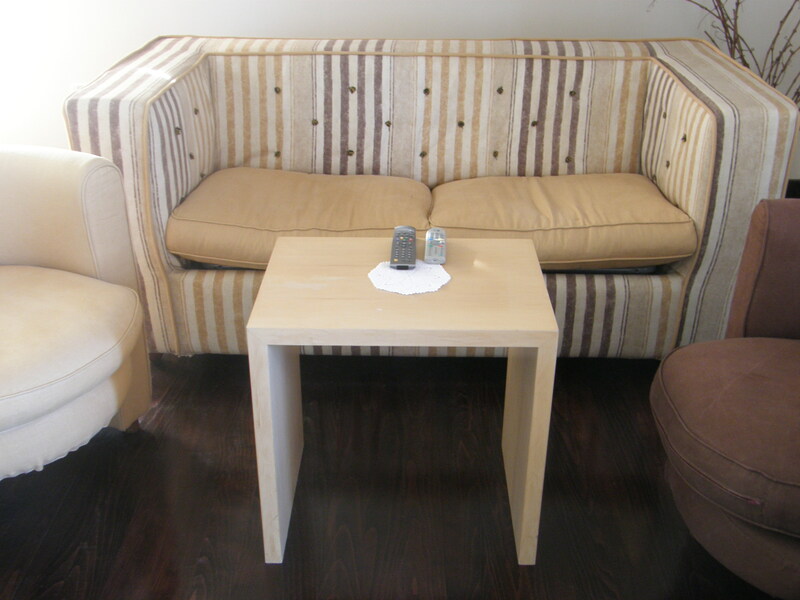 Tastefully furnished…I couild have stayed much longer! 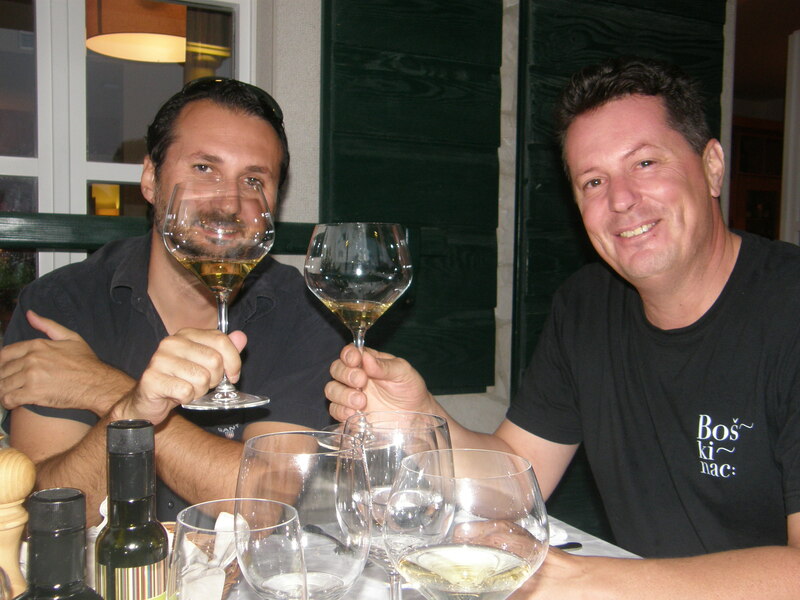 My Croatian associates, Alan Mandic of SECRET DALMATIA and Boris Suljic of BOSKINAC enjoying another great meal and accompanying wines at the BOSKINAC restaurant. As I rolled into bed (one of the largest I have EVER seen) I felt as though I had been transported into a heavenly state of divine slumber. My eyes pleasantly closing and sweet dreams wafting about at the close of another perfect day. 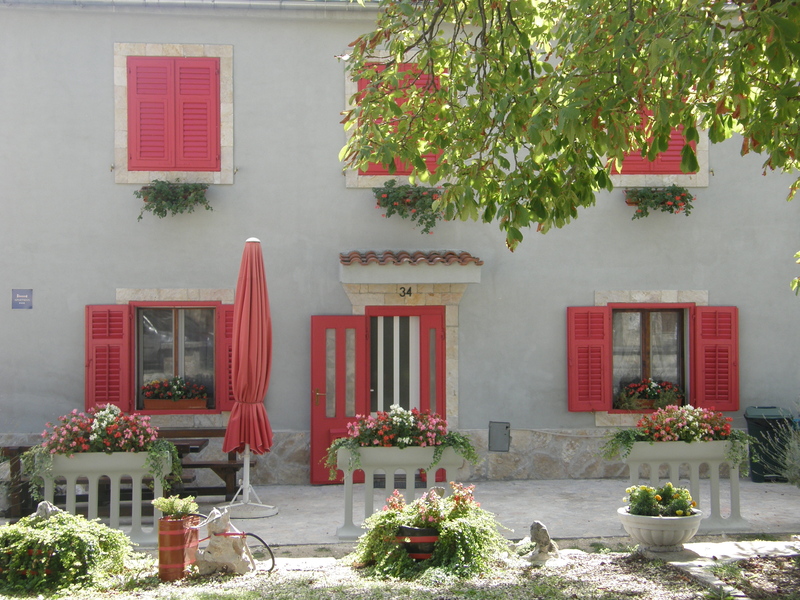 Email: Robyn at myhiddencroatia@bigpond.com for further details.